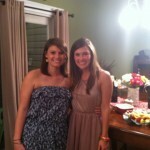 We actually have a couple of people to thank, in regards to the cake! 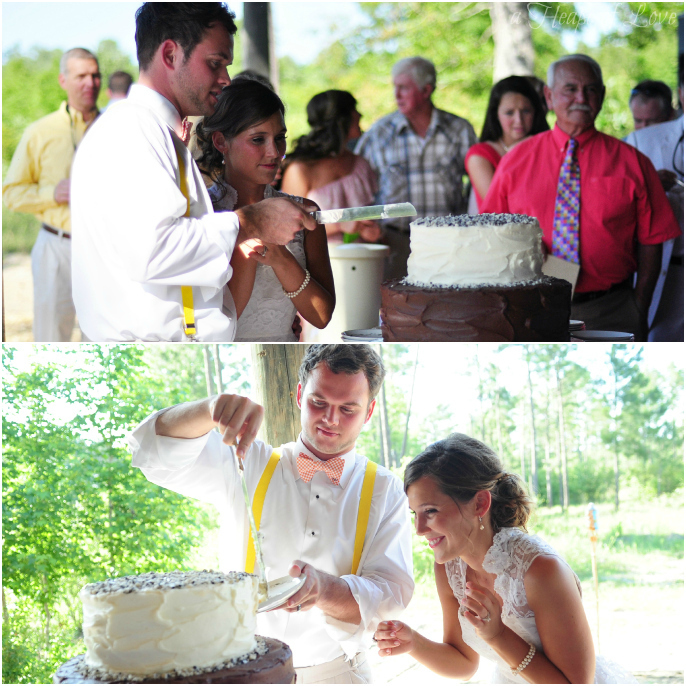 First Mrs. Eydie McDaniel, thank you for such a beautifully decorated and oh-so-delicious wedding and groom’s cake. You took my vision and made it a reality – and a delectable one at that! 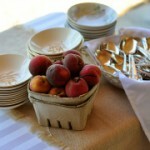 In addition, each peach was delicately handmade by Mrs. Eydie, which so to speak – was the icing on the cake. So together, we thank you – Mrs. Eydie. Thank you for putting so much time into each detail and adding only the best ingredients. 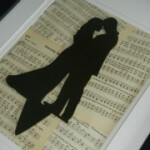 In my early Pinterest days, long before I had any friends or followers on Pinterest – I pinned this beautiful, silhouette cake topper on a one day I’ll say “I do” board. As the wedding planning began, I remembered that impressionable cake topper, found this pin, and discovered Simply Silhouettes. 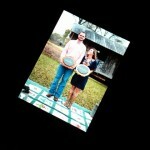 Shortly after, I scheduled our engagement photo session – in which I requested this photo be taken. Fortunately, Kim is an excellent photographer and captured the image we needed, along with the beautiful sunset. 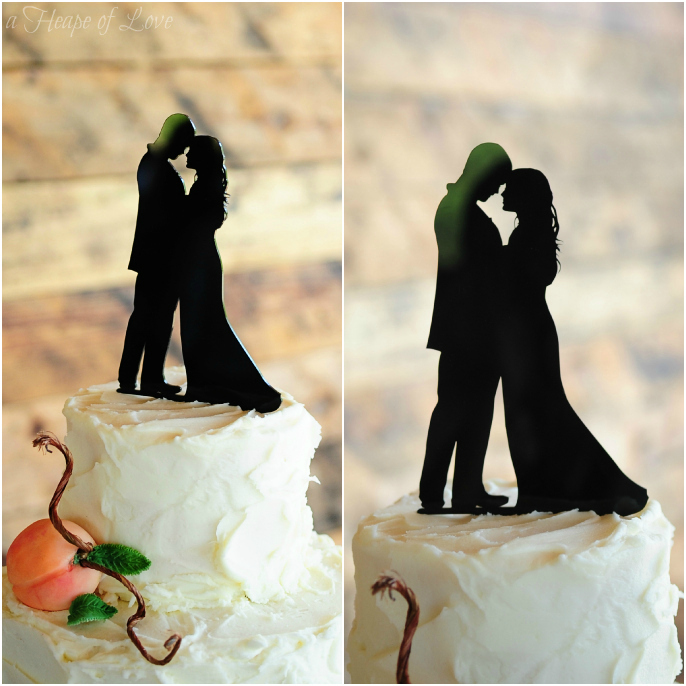 It was that photo which I submitted to Simply Silhouettes, which in turn created this personalized cake topper. 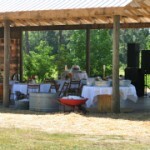 Simply Silhouettes offers great customer service, reasonable pricing, and a variety of options. From this image, Simply Silhouettes added our “wedding attire” to complete the full-length image. 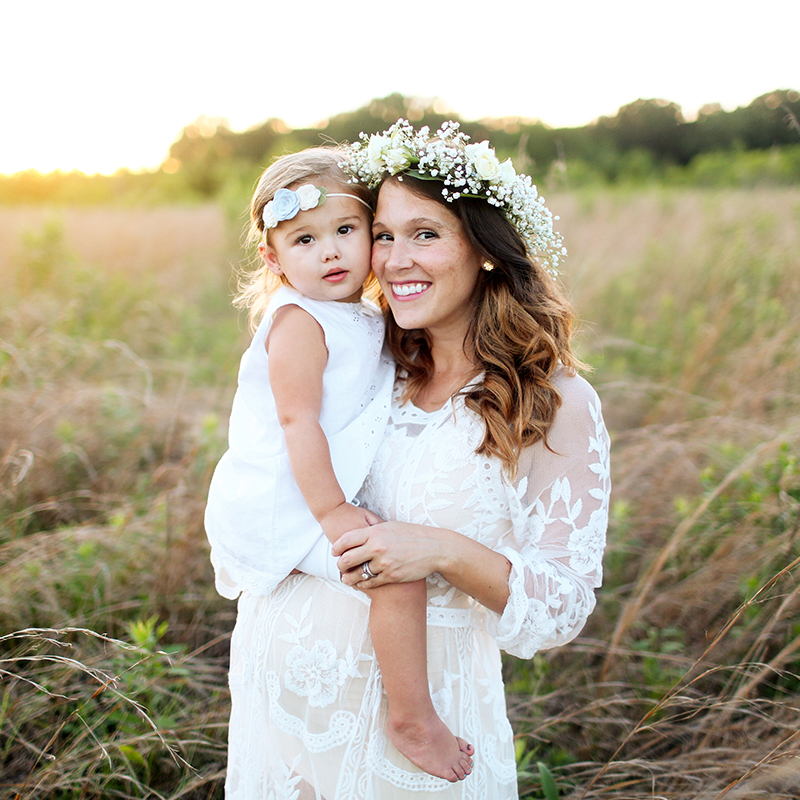 Her work is phenomenal and we couldn’t have been happier with the finished product. 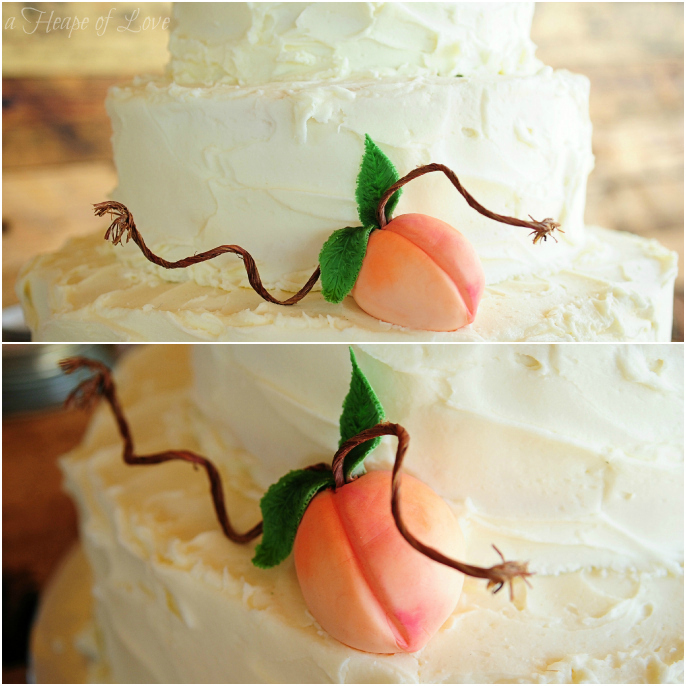 It was exactly what I’d envisioned and looked ideal on top of our tiered peach cake. I love the personal touch. Angela, we can’t thank you enough for going above and beyond with your customer service. You were a pleasure to work with and we look forward to working with you in the future. If you look closely, you can see each detail – including our eyelashes! 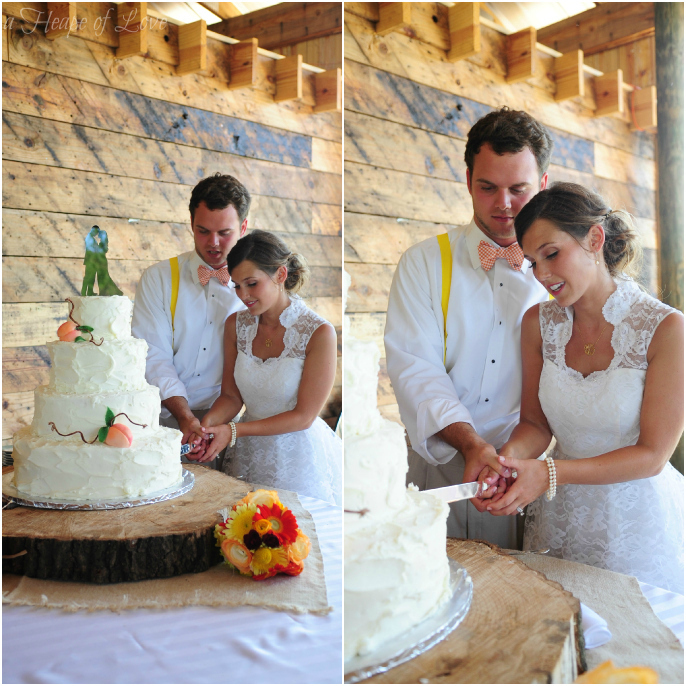 Since the wedding, I framed our cake topper to add personalized decor to our home – see here. 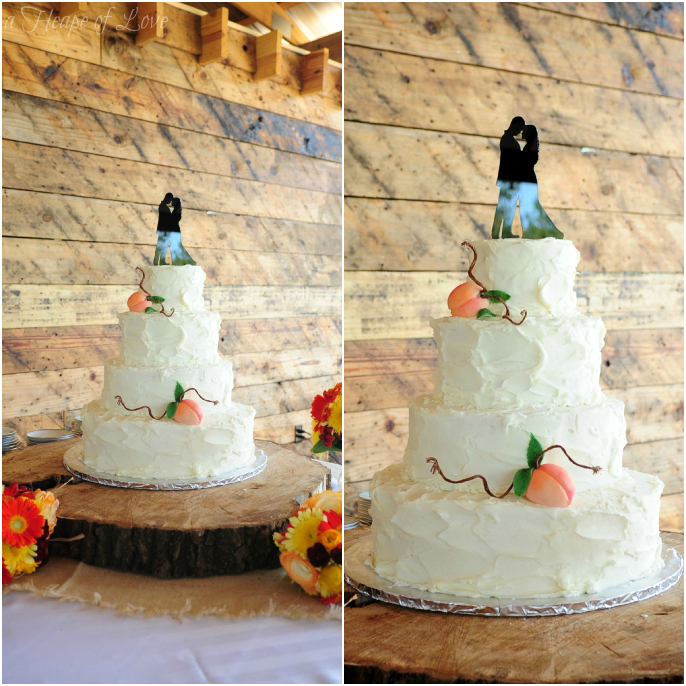 I’m eager to try the top tier on our one year anniversary! 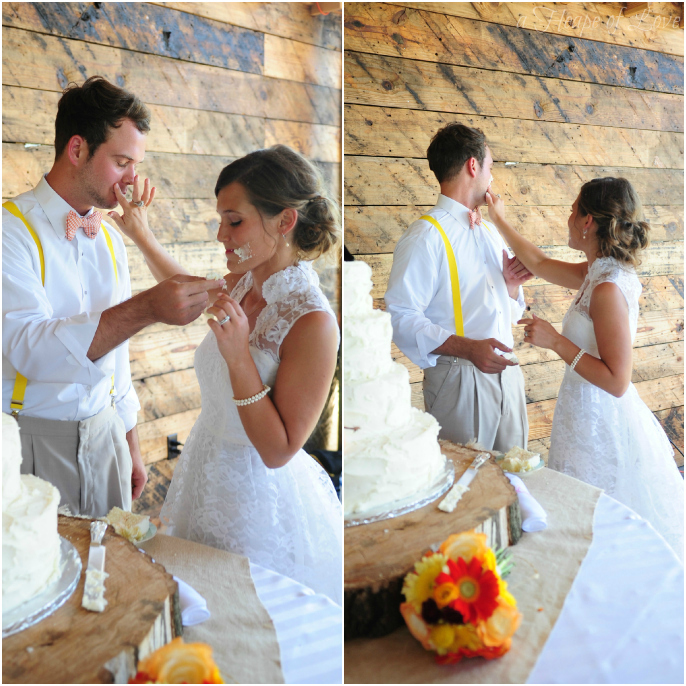 With the excitement of everything, it didn’t cross my mind that Justin may smear cake on my face. Surprise! 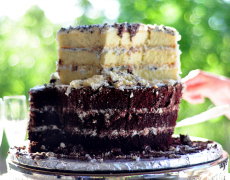 Fear not, I’m a fan of payback – so I quickly retaliated with a handful of cake. 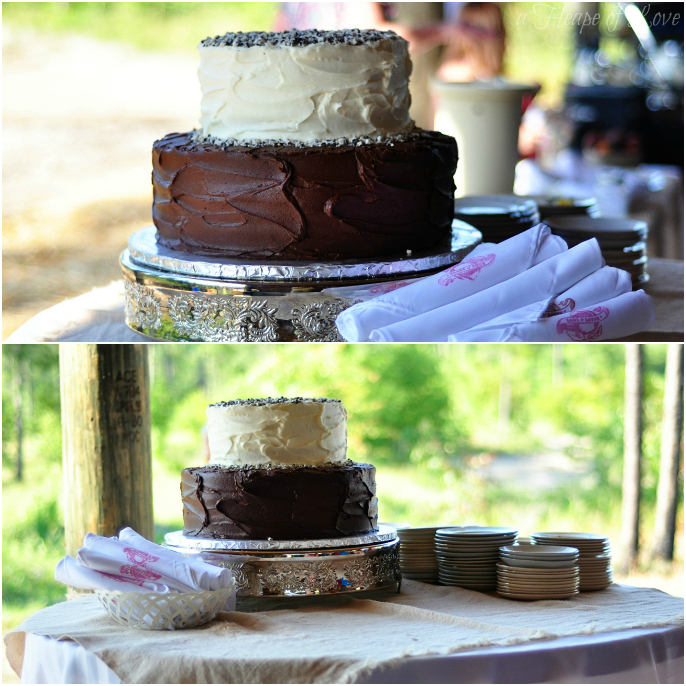 For the groom’s cake, Justin imagined a cookies ‘n’ cream cake to mimic his favorite candy bar – Hershey’s Cookies ‘n’ Cream. 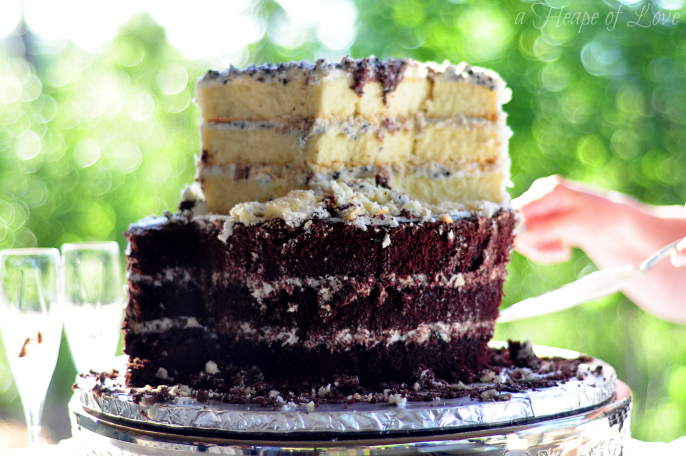 Featuring both a chocolate and white chocolate layer, with Hershey’s Cookies ‘n’ Cream bar crumbled between each layer and on top. It was even more delicious than it looks! Can you tell I’m excited to try a bite? Both cakes were a hit – at least, that’s the rave we’ve heard! 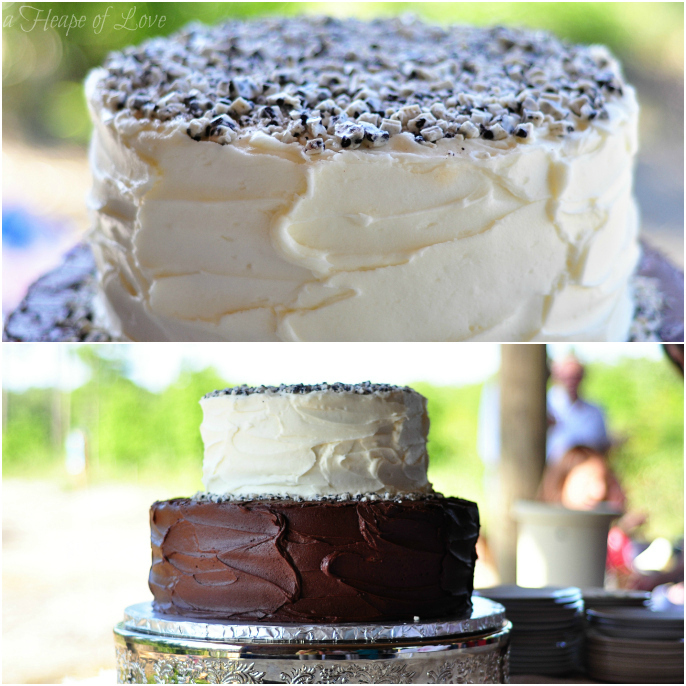 If you were at our wedding, which cake did you enjoy most? ps. 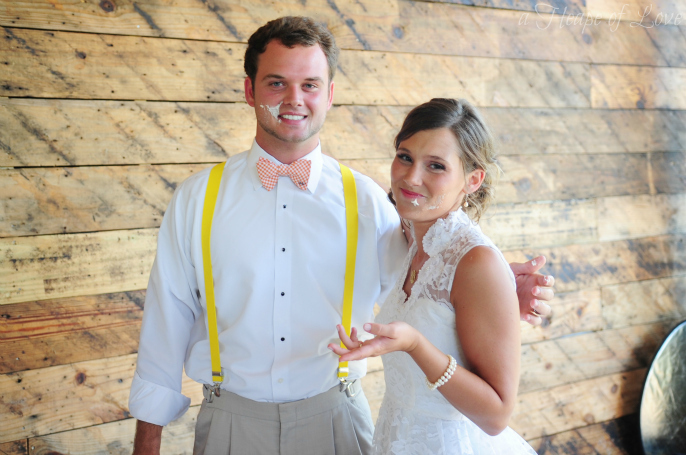 If you enjoy following our journey as newlyweds and want to stay in the loop – be sure to subscribe to our blog! There are two ways to subscribe, 1) by adding our link to your RSS feed or 2) via email – both options can be found at the bottom of this page. 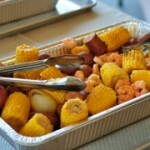 It’s so rewarding and encouraging to know you enjoy our adventures, recaps, and recipes! Keep the comments coming.